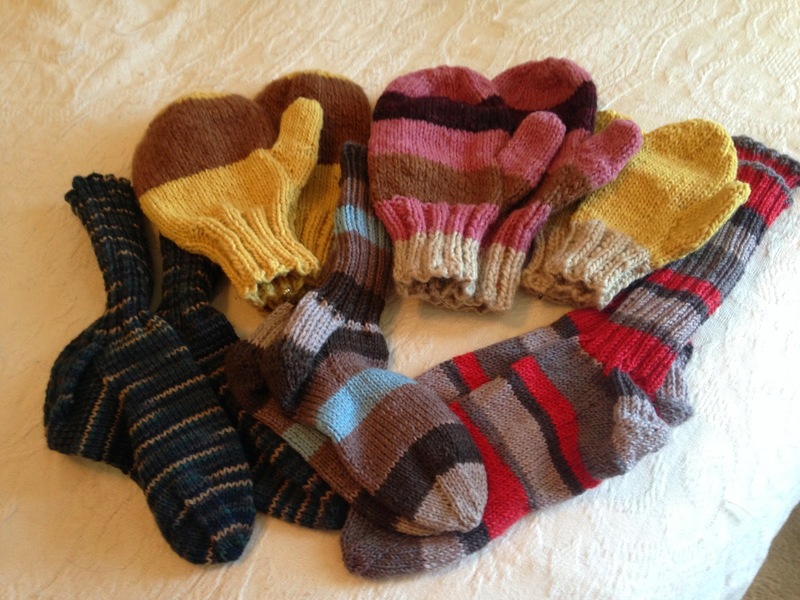 I asked the women in my church knitting group to consider making something for Afghans for Afghans during Lent, and one of them came through with three pairs of mittens. I think they look great with my three pairs of socks. Funny how we both decided to go with stripes. So tomorrow it's off to the post office to mail all of it.